As consumers recover from Black Friday and Cyber Monday spend in November, Christmas spend in December and January Sales, the month of February brings another retail occasion who’s pressures most consumers feel they could do without. Yes, it’s Valentine’s Day. Whilst analysts in the U.S. expect the average consumer spend on Valentine’s Day to drop from $146.84 in 2016 to $136.57 in 2017, a massive $18.2 billion is still expected to be spent by Americans during this period that seems to be as rowing in popularity and may even stand to rival other popular retail occasions including Black Friday and Cyber Monday. Many consumers are choosing to spend less on eating out during the Valentines occasion but rather opting for a more relaxed dining experience. The availability of home delivered quality, pre-measured foods has made this a real option as many choose to enjoy the occasion in the comfort of their own homes. As younger consumers embrace the popular phrase ‘You Only Live Once’ (YOLO), Valentines is fast becoming another way for these consumers to share experiences and make memories. These experiences range from sporting and music events to more intimate experiences including romantic weekend trips or an indulgent home spa experience. The global smartphone penetration and the seemingly unstoppable increase on consumer adoption of mobile apps could make a dent in the way consumers communicate during Valentine’s Day. From electronic cards and emoji’s to Snapchat filtered images and videos, it would not be unreasonable to conclude that the use of traditional cards will begin to decline. 47 percent of consumers are planning to send a Valentine’s Day card compared to 63 percent 10 years ago. It is no surprise that most consumers in the U.S. plan to focus the majority of their Valentine’s Day spend on their ‘significant other/ spouse’ (average $85.21), with spending on other family members (i.e. children and parents) proving to be the second most popular spending option (average $26.59). U.S. consumers will spend $6.56 on classmates and teachers, $6.51 on friends, $4.27 on work colleagues and $4.44 on pets. As retailer’s everywhere (particularly in the U.S.) strive to offer more seamless and personalised online and offline shopping experiences for consumers, it seems their focus is justified with 67 percent of U.S. consumers planning to make their Valentine’s Day purchase from department stores (35 percent) and discount stores (32 percent). 27 percent will be spending solely online with specialty stores (18 percent), florists (18 percent) and local businesses (15 percent) attracting the remaining consumer spend. Top of the valentine’s gift list is jewellery with a massive $4.3 billion to be spent by shoppers. Although experiences such as meals out and event tickets are seen as the most desired gifts, the majority of consumers spend will be on candy ($1.7 billion) followed by greeting cards ($1 billion) with $3.8 billion spent on experience gifts including meals out and event tickets. It would appear that many Brits don’t believe they are as romantic as their European counterparts with only 26 percent of UK couples identifying themselves as romantic compared to Italians where 43 percent said they were romantic a Groupon research revealed. 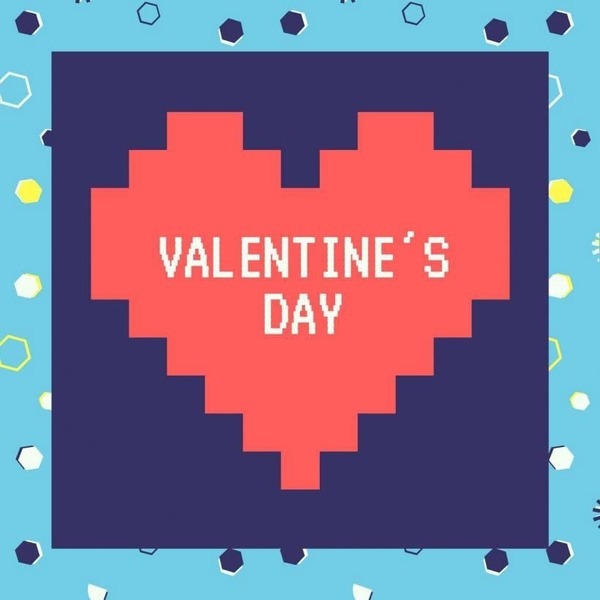 The same research found that UK consumers were more ‘budget conscious’ with their Valentine spend on a significant other or spouse being less than half (£49.64) of what their Spanish (£111.08), American (£109.16), French (£107.33) and Italian (£107.30) counterparts would spend over the same Valentine’s period. With the UK valentines market valued at nearly £1 billion, British consumers still have a ‘love/hate’ relationship with valentine’s day according to Mintel. Experts have cited the over commercialisation of the valentine’s occasion as part of the reason for the cautious spending approach most Brits have adopted when it comes to Valentine’s day. 78 percent of married couples and 70 percent of single UK consumers confirmed this position also and feel ‘social pressure’ to spend on valentine’s. This being said, 49 percent of UK consumers spend money for Valentine’s Day with 18 percent of UK male consumers who purchased precious metal as gift admitting their purchase was made for Valentine’s Day. Top gifts for purchased for Valentine’s Day are greeting cards, chocolate and flowers. UK consumers also spent money on meals out, special meals at home and trips away. Interestingly, only 23 percent of gifts bought for Valentine’s Day by UK consumers were bought on impulse. 63 percent purchased gifts they had pre-planned. All being said, consumers are exactly that; consumers and sometimes they undeniably may need some motivation to spend or increase their spend. Research by ORC International found that 92 percent of consumers would spend an extra $10 on Valentine’s Day with 49 percent admitting they would spend more if they found a good deal. The immensely fierce retail landscape dictates that retailers become wiser in how they implement competitive pricing strategies to secure consumer spend. Intelligent retailers consistently engage real-time price monitoring technologies and are able to consistently price compare and leverage automatch technologies that influence their competitive pricing initiatives.